If you are moving to a new state, then you are going to have to bring your car along with you. This is not as simple as it sounds especially if you are unable to drive the vehicle yourself. Fortunately, it can be done without much hassle if you know what to do. Moving your car to a new state requires just a few steps. The first step is to clean your car completely. This has to be a full cleaning from the inside to the outside. Wash down the entire exterior. Clean a little under the hood. Empty out everything possible from the car and clean the interior. You want the car to be spotless and empty. Any debris left on the car could cause problems later. Any personal items inside could be lost or damaged when moving car from state to state. You want your car to be in good working condition before arriving in a new state. If your car does not run properly, then there could be issues that stop the vehicle from being safely transported to the destination. You might also have no idea where to go for repairs once arriving in the new state. You need to take the car in for a professional tune-up and any necessary repairs. Make certain that it is in good condition. You need to be very careful when moving car from state to state. You might encounter some legal or technical issues that could invalidate your insurance in other states. Talk to your insurance company a few weeks before the actual move. You want to let the insurer know your exact plans. Ask them whether your insurance will provide full coverage in the event the car is damaged or stolen. Buy temporary or extra coverage if necessary. You might also want to talk to the moving company to check whether any type of standalone insurance is available through the business. Do not plan an interstate move for your vehicle unless there is some type of valid insurance in place. The fastest and simplest way to get your car to another state is with a professional car carrier service like Door to Door Car Carrying. You should research the companies in your area. Choose one that has a positive reputation, clear policies and years of experience transporting vehicles long distances. 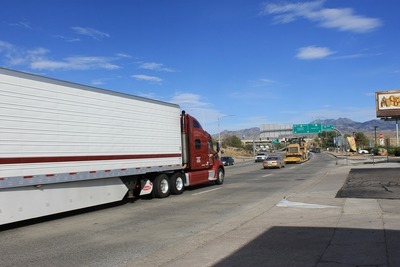 Car carriers will provide a good amount of protection for your vehicle as it moves across interstate highways. Compare quotes and talk to the company to find the best option for your needs. Schedule your personal move around the estimated times when the vehicle should be arriving at your new home or apartment. Be sure you understand the entire process. Anything can happen while your car is being transported. You need to be available the day the car is supposed to arrive. Do not leave just a small one-hour window open for the arrival. You need to do this because most companies with car carriers will want you to sign paperwork and inspect the vehicle before the delivery is considered complete. You need to be free all day long just in case there is a delay or the car shows up earlier than expected. Should I Sue My Doctor for Medical Malpractice?